John Hunter was not as celebrated an instructor as his older brother, William, but students nevertheless recorded his lectures with great care, as this journal of extensive notes attests. Both brothers were great collectors: William’s donations to Glasgow University formed the basis of their Hunterian Museum, while John’s collections survive in London at the Royal College of Surgeons. [Anon. 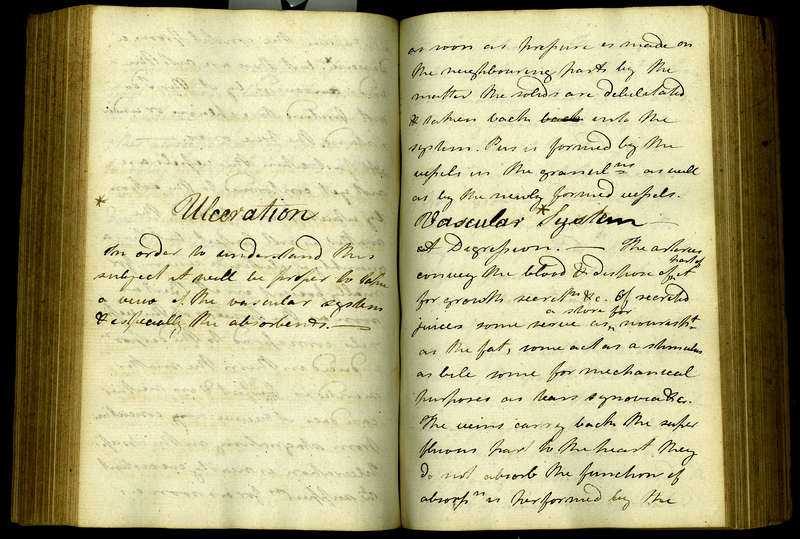 ], “Notes from Mr Hunter's Lectures on Surgery,” ourheritage.ac.nz | OUR Heritage, accessed April 26, 2019, http://ourheritage.ac.nz/items/show/10165.